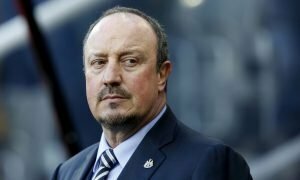 Newcastle United make club-record swoop for Ligue 1 sensation | The Transfer Tavern | Where football transfer rumours fly or die! Newcastle United fans in the Tavern will be buying another round of drinks to celebrate news that their club have reportedly bid for Alexandre Lacazette. 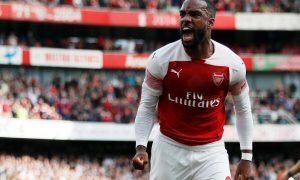 The Northern Echo report that Lacazette has been the subject of a £19 million bid from the Magpies that, if successful, would make the him the club-record signing with the highest transfer fee. The highly-rated striker, currently plying his trade at Lyon, netted 31 goals in all competitions last season. That had seen the Gabonese international attract interest from the likes of conventionally bigger clubs such as Chelsea and Arsenal. Newcastle themselves were also linked with a move for the forward back in the summer of 2014. However, Lacazette’s form has dipped this season, scoring just eight goals so far, but that has not halted Newcastle’s attempts to secure the 24-year old on a transfer during the January transfer window. Steve McClaren’s side are currently in a relegation battle in what has been an underwhelming first half to the season, prompting the club to look to increase their firepower up front, especially with Ayoze Perez and Aleksandar Mitrovic in unconvincing form. 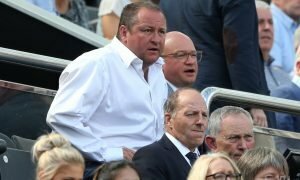 However, Press Association Sport claim that, despite the fact that Newcastle have held an interest in the player for a long time, he is simply not available at this time. Newcastle fans, do you think that Lacazette could be the striker to take you up the league table? Let us know in the comments below!